He was a self-appointed steward of this family land which offered him much gratification for keeping it manicured. He carved out his ideal plot on which to build the home where he and his wife Lorna (Mitchell), would raise their son, Justin. This location also provided the space occupied by the Don Hills Company, Inc., the hydraulic business they operated together for 31 years. Although it was not always verbally expressed, he felt a genuine love for his family, friends, country, Army buddies and life, which was expressed through random acts of kindness, gratitude or practical jokes. His surprise enlistment into the Army following graduation took him to Vietnam from 1967-1969 where he honorably served with the 137th and 497th Engineering Co.(L.E). 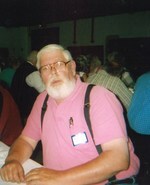 Bonds made with his “brothers in arms” have filled his life with love, laughter and travels throughout the U.S.A. during his twelve years of retirement. His two year old granddaughter, Emeline, has been “Grampy’s ray of sunshine” these past six months. Don is predeceased by his parents, step-father, and step-brother Jenness and Larry Gordon. He is survived by his wife, Lorna, sister Joyce, step-sister Janice (Bob) Linscott all of Union, son Justin Hills and wife Samantha Quinn of Lincolnville, sister-in-law Reenie (Chuck) Davis of Woodridge, IL, Sherry (Chick) Strauss of Brunswick, ME, grandchildren Emeline and Alex of Lincolnville and multiple nieces, nephews and cousins. Visiting hours will be held on Sunday, May 6, 2018 from 5-7 p.m. at Hall Funeral Home, 949 Main Street, Waldoboro, Maine. A graveside service will be held at noon, with military honors, at Lake View Cemetery, Overlock Hill Road, in Union, on Monday, May 7, 2018. An informal social gathering with casual dress will follow from 2-5 p.m. at The Elks Lodge, Rankin Street, in Rockland. Condolences for the family may be shared at www.hallfuneralhomes.com Arrangements are entrusted to Hall Funeral Home and Tribute Center, 949 Main Street, Waldoboro.